"My first child turned thirty one on 2018. I have been watching her since she was a child. She had a painful childhood, suffered atopy allergy. It was a pain to watch her itching and crying. She even had cough and redness from flowers and dust. She had blisters from her neck to her thigh, bleeding and bleeding. Blood covered all over her bed. I tried tying her wrist from itching blisters. But it did not helped at all. She had loosen the tie by herself and kept scratching repeatedly. As a father, it was a pain to listen her scratches as she itched, itched and itched. Even my wife tried hard to stop the itch. My wife took our daughter to the hospital, giving the best medical treatment that I could afford. However, it went even worse. The blister and itches had spread out all over her body. One day, I saw my daughter playing with plastic ball, which gave me an inspiration about creating a product that helps children skin diseases. I invented a product that uses no chemical detergents at all. 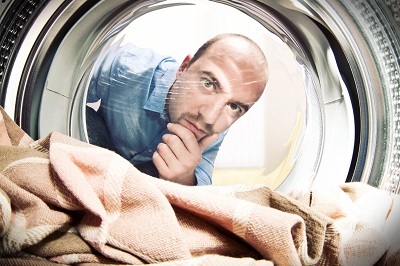 Chemical detergents cause atopy and asthma. 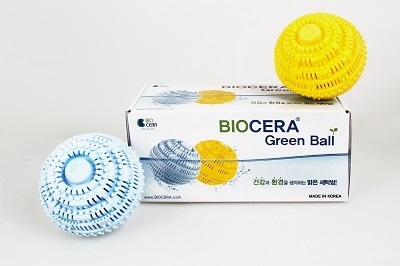 Green Ball was the first invention which lead a start for Biocera Corporation in 1997. Green Ball has functions of surfactant like a detergent, breaking water to small small clusters, plus an antibacterial function with bleaching action. The research of making Green Ball began on 1995. It took lots of effort and failure for two years developing final product in 1997. Most of the experiments were about how to apply the raw materials inside the washing machine. Previously I had problems with my prototypes using ceramic balls, they ran all over the washing machine causing breakdown. Sometimes protype tore the clothes while doing laundry. There were some twists and turns but was a start from a father's love. As I reduced the quantity of chemical detergents and medications, my daughter's atopy allergy went away and the sound of scratches faded too."